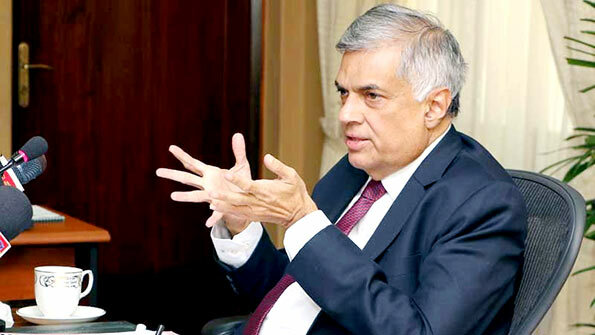 Action will be taken against individuals responsible for the killings of prisoners at the Welikada prison in 2012 once the Government receives the Police report into the incident, Prime Minister Ranil Wickremesinghe said. The Prime Minister yesterday in Parliament tabled the report of the Commission which probed into the Welikada Prison clash on November 9, 2012. He tabled it in response to a question by Chief Opposition Whip and JVP Leader Anura Kumara Dissanayake. MP Dissanayake, observing that 27 prisoners were killed and another 40 prisoners were injured during the shootout at the Prison, inquired what action would be taken against the assassins behind this controversial incident. Prime Minister Wickremesinghe on behalf of the Government strongly condemned those killings at the Prison which took place during the previous regime led by Mahinda Rajapaksa. 22, 2015 and its report was submitted on June 9. However, the report was not in public domain until it was tabled yesterday. The Prime Minister said a copy of the report has also been forwarded to the IGP. He said the Justice Minister has sought the Cabinet approval to pay Rs 500,000 each as compensation for family members of the prisoners killed, and Rs 100,000 each as compensation for prisoners injured. He said report of the Commission could be taken up by the relevant oversight committee for discussion. He said Parliament would be informed of the future steps the Government intends to take to reveal the assassins and steps to be taken against them once the Police report into the incident is submitted. “We do not want to hide anything. That is why we presented the report to Parliament,” he added.